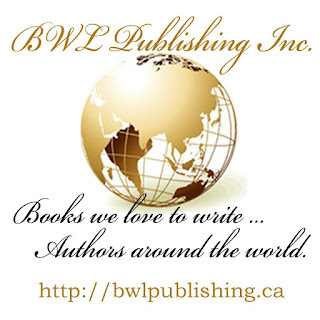 As a writer of historical novels set in the 18th century, I find doing the research is as interesting as writing the book itself…if not more so. In this modern age, it can be done easily, without having to leave the comfort of one’s chair. Digitization of more and more old, formerly hard-to-find source books, blogs and specialized websites have taken much of the drudgery out of what used to be a time-consuming chore. But even with a wealth of available information, nothing is quite as stimulating as “being there.” The acrid smell of black powder smoke settling over a field in the hot glare of autumn sun, along with the crack of musket fire; the boom of cannons belching fire; the feel on your face of the dry heat of kitchen fires on a sultry summer day; flies swarming about the kitchen through open, distorting glass windows…all provide a unique entry into the world I try to recreate in my novels. When attempting to capture these sensory details, books and journals, letters and maps fall short, leaving too many of these tangible elements to the imagination. When I was a child of ten, my family visited Williamsburg, Virginia, and I fell hopelessly in love with the place and the era it represents. The clothing, the smells and sounds affected me with a deep sense that, if just for the short time we were there, I had traveled back in time. 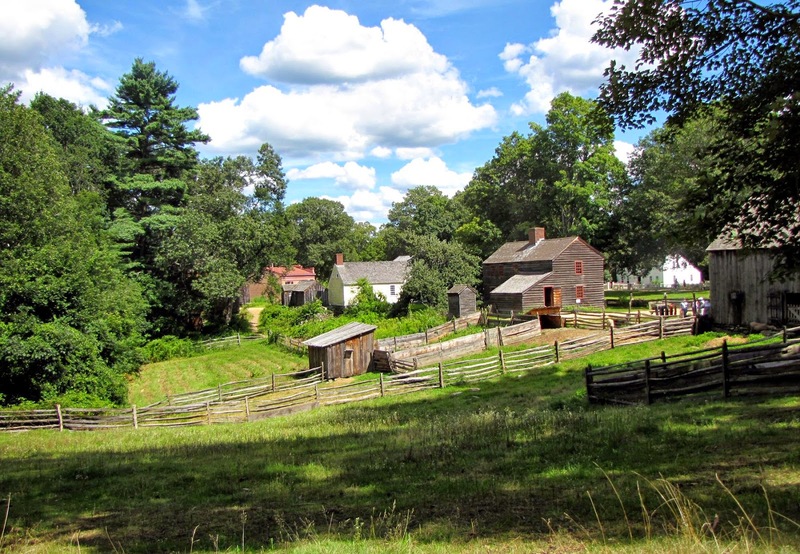 Over the years, we made similar visits to other living history sites in the Northeast and Southern U.S. As an adult, I took my children to Mystic, CT, Old Sturbridge, MA and many a re-enactment rendezvous. The magic I’d experienced as a child had not released its hold on me. During the weekend of September 19-21, a fellow historical writer friend and I attended the 237th anniversary of the “Turning Point of the American Revolution” at the Saratoga National Historical Park in Stillwater, NY. 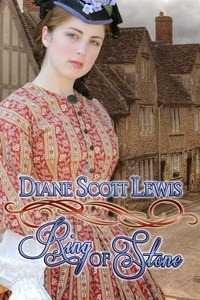 Being transported to an earlier period in time was magical, marvelous, and informative. We spent all day Saturday and part of Sunday traveling by car around the park, stopping at the numbered points of interest along the route to marvel at the scenery from the heights overlooking the Hudson River Valley and beyond. At other tour stops, we met members of the various re-enacting groups representing both the American and British camps. While other tourists milled about, we sat around pungent campfires and chatted with women toiling with the laundry in wooden buckets using water carried up the heights in pails, with a rifleman who was more than happy to answer our questions and explain how he cleans his flintlock after a long day on the battlefield. We also watched a group of raw recruits go through the paces of loading and firing their weapons...with a little help from the drill master. As interesting as it was to spend time with the “Americans,” the British encampment provided opportunities to delve into the sort of stuff not taught in history classes. Here we met a Royal Navy man, a Hessian soldier, Loyalists, and bevy of camp followers and their children. One of the women introduced us to an assortment of vegetables common at the time. We even sampled carrots and beans not found in our local supermarkets. I don’t know about anyone else, but after watching numerous movies and made-for-TV-series set during this period, I wondered how those woolen breeches worn by the British army stayed so white during their mucky slogs through the wilderness. “Chalk,” explained the young man portraying a Loyalist Indian agent. Who’d have imagined that? He also showed us some his equipment, which included an actual sword (and explained how it differs from reproduction swords) and an ingenious device he called “the Bic lighter” of the 18th century. In addition to the clothes and the sights, smells and sounds from the past, we experienced that otherworldly sensation of walking among ghosts on hallowed ground where so many bled and died, where a future traitor achieved his finest hour, on a tract of land that has been preserved for today and for those of tomorrow who can—if just for a short while—step back in time. It’s seventy five years since the movie of the Wizard of Oz was made. It’s one hundred and fourteen years since the book was written, but everyone—probably everywhere—knows the story well. The movie images, especially, lurk in the back of the mind of every one who has ever seen it, whether in the movie theater or on the small screen at home. From the tornado to the dramatic switch from drab reality to full color fantasy, everything about it was a visual treat, especially back in the days when such "special effects" were new, and we weren’t plied on a daily basis with mind-boggling CG. 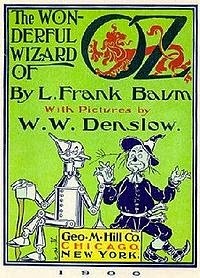 I think everyone has their own recollection of the first time they saw The Wizard of Oz. I certainly do, and the memory is not entirely a happy one. 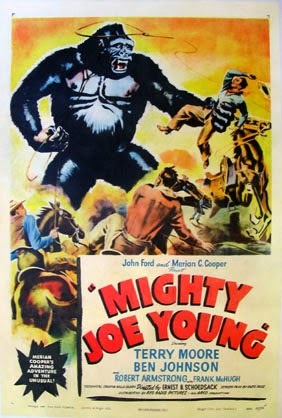 I was born long enough ago to have seen the movie for the first time in a local theater. Nothing beats the screen for overwhelming effect, even when this screen was small by current standards. The Little Art Theater, as it was called, was basically a long narrow room with a screen and little stage at one end. It occupied the middle of a 19th Century three story, block-long brick building, the kind that lined most typical downtowns. The local college crowd viewed avant garde foreign films there—auteurs like Bergman, Renoir, Pasolini—hence the name, but our theater also showed standard Hollywood fare, because, then as now, folks need to make a living. My blonde, blue-eyed Aunt Jean, (now, unimaginably, gone,) took my Cousin Michael and I to see The Wizard of Oz. I can't have been more than six, perhaps even younger. Aunt Jean was a lady of standing in our little town, so I have a memory of her in a blue and white checked shirtwaist dress, low heels, a hat and white gloves. My cousin was younger, but we were both near-sighted, so we sat near the front on the aisle, if memory serves. In those days, we both peered around the shoulder of whoever was in front of us, perched on the edge of our seats. Nevertheless, then as now impressionable, I was immediately swept away, (just like poor Dorothy!) into the fantasy. The first scary thing was when wicked Agnes Gooch took away Toto to be put down. I had recently owned a puppy, one that had been squashed in the road right before my eyes, so I was familiar with the pain and sorrow of loss that comes at the death of a fur friend. Next, came the tornado. My home town is in western Ohio, so I was on a first name basis with those, too. I’d seen the fear grow in my father’s eyes whenever he studied our stormy, threatening, lightning-filled skies, searching for any sign of oncoming catastrophe. 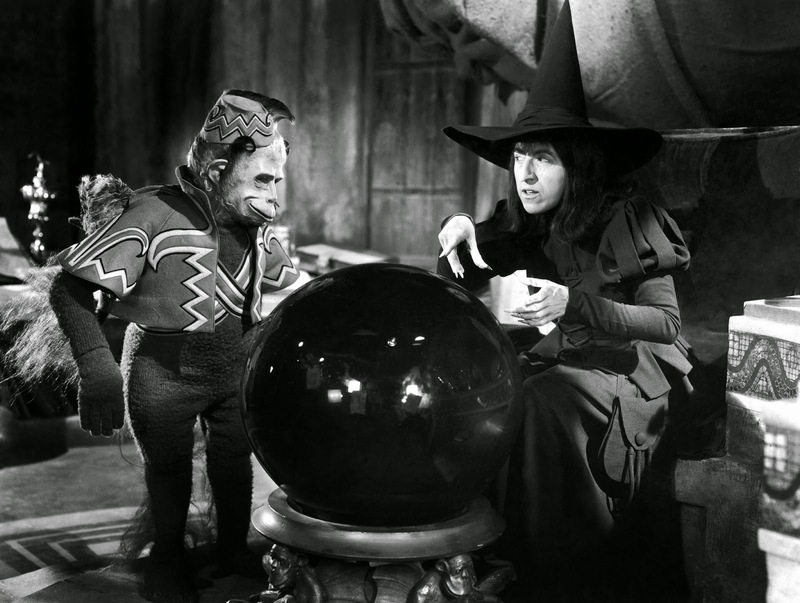 Nerves already on edge, for me the grand finale came when the green-faced witch and her awful minions, the flying monkeys, took over the screen. I was so far submerged in the fantasy that what happened next might have been expected. 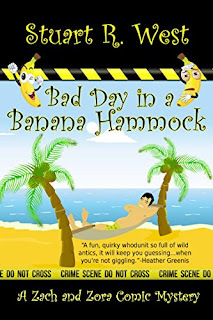 When the monkeys came flying to tear the poor Scarecrow apart, leaving his strawy insides all over the road—well, in sixties parlance—I flipped, and began to scream at the top of my lungs. My aunt was mortified, as was my younger cousin—who was, as he pointed later when the dire subject came up again - a boy, and therefore impervious to fear. I was whisked out of my seat and marched into the lobby. Here, away from the movie, fear of my Aunt’s displeasure quickly displaced the nightmare in which I'd been submerged. I remember standing, sobbing under the too bright lobby lights, with my Aunt shaking me and scolding. Eventually, we returned to the dark theater. I remember drowning in embarrassment and holding back from my earlier willing immersion in the story so the shameful loss of control wouldn't attack again. Fashions in child-rearing have certainly changed, but even now I bear my Aunt no ill-will, because according to the rules of the world in which we lived, her reaction was the correct one. It's an amusing memory, I guess, and also one that is "period correct." Anyway, Happy 75th Birthday to the Wicked Witch and all her minions. I've thought of her far more often over the years than I have of Dorothy. In the French countryside where my father was born, the birth place of Merlin, near Broceliande, legends of Melusine the Fae abound. 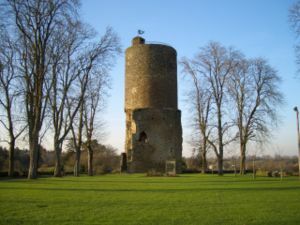 She lived notoriously in Lusignan, built the tower of Vouvant in one night to save the villagers from the invaders. Wherever you turn, you see the legendary ondine gracing the signs of the local taverns, the bakery, the museum. 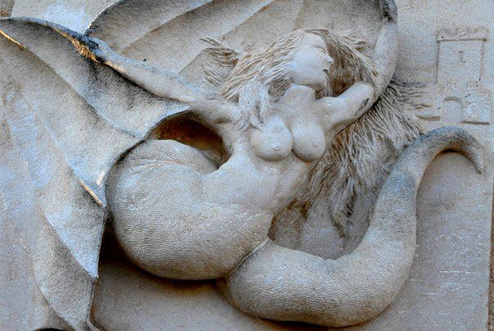 There, Melusine is alive, and part of history as well as legend. But very few are familiar with the entire scope of her story. The Melusine Tower, Vouvant, France, built in one night. Never mind that the base and the top are from different periods. Excited by that discovery, I set upon a decade of research to connect all the dots. Yes an entire decade. While writing other books, I actively pored over ancient translations, old texts, I traveled to France to tiny libraries and museums holding on to their local legendary roots... until I put together the many pieces of that incredible puzzle, to uncover the entire picture. Only then did I understand what I had... enough fantastic material to write the most exciting medieval fantasy series. My agent was very excited and prompted me to write the series. But publishers at the time did not receive it well. They thought the readers would not buy medieval fantasy... unless it was vampires. Well, my immortals are not vampires. Finally, Books We Love gave this series a chance, and I am grateful. Five books are out right now, with a sixth to be released early next year. More will follow as the tapestry of the entire legend unfolds. The Curse of the Lost Isle series starts in the early 800s with Pressine the Fae, in PRINCESS OF BRETAGNE, during the Viking invasions in Scotland. This book is still 99cts in kindle for a few days. Hurry. SEDUCING SIGEFROI, Book 3, and LADY OF LUXEMBOURG, Book 4, are set at the foundation of Luxembourg as a country. CHATELAINE OF FOREZ, Book 5, tells the love story of the dark Count Artaud of Forez with Lady Melusine in the Eleventh Century. Book 6, scheduled for early 2015, starts in 1096 AD and features Palatina the Fae, one of Melusine's sisters, in the greatest adventure of all time, the First Crusade, an exciting and dangerous time to be an immortal. This series already gathered many five-star reviews, with titles like "Edgy Medieval, Yay!" or "Wow!" or "Fantastic!" I hope you will try it and enjoy it. Five books are available in kindle on Amazon. Book One is also now available in paperback. There are some writers who cringe at the thought of editing or revision. For me that has always been the favorite part of writing. I consider it is better to get the words down on the page as fast as my Muse will let me, then after the book is finished, that is the time to go through and make the necessary changes. It’s always a revelation to me when I see what I actually ended up with. I think a lot of authors have the same reaction, thinking, “Did I really write that?” I’m about to embark on re-working most of my earlier published books so I guess it’s a good thing that I enjoy the process, isn’t it. At some stage in our writing career we have to learn to live with the fact that our work is not as perfect as we like to think it is, and we must allow another person the privilege of reading and criticising our baby. I’ve worked with a lot of editors in my time, and can’t ever recall an instance when I said, “What you’re saying is a load of rubbish. I refuse to change my work to suit someone else.” I might have said more than once that I much prefer to leave a paragraph as is or just tinker with it, but I value the opinion of editors far too much to ignore their input. One of my earlier books, now re-published by Books We Love as Remnants of Dreams went through 9 re-writes in its previous life if my memory serves me correctly, which means I have lost count of the editors whose hands it has passed through on its way to publication. I tried different points of view and at one stage wrote it in first person from the POV of the main character. 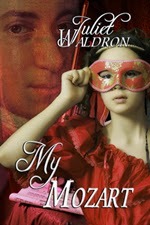 Without the input of editors along the way it would never have won RWA’s Romantic Book of The Year award. Lonely Pride, due out soon at BWL started its journey in 2004 (with a different name and long-defunct publisher) so that’s another one that has enjoyed the input of a few editors along the way. But I wouldn’t dream of ignoring the opinion and suggestions of my latest editor. I guess my message to new authors is: Never think your baby is so finished to perfection that you can afford to ignore the wise words of your editor or critique partner. Paris is exactly what one would expect: busy, crowded, filled with chic (and not so chic) city folks. 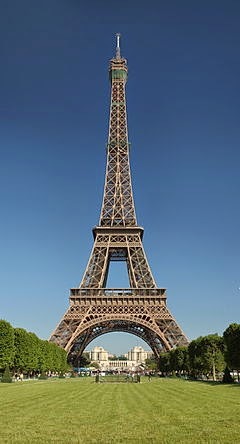 The traffic was horrible, the food wonderful, Notre Dame Cathedral impressive and the Eiffel Tower heart-stopping. A visitor had better be able to walk over many cobble-stoned streets, and climb more hills than level roads when touring some of the historical areas of the city. I had a hard time because of my various physical problems but I managed to see most of what I wanted and I'm glad I went. Most of all, the people were friendly and willing to converse with me, responding to my very rusty attempts to speak the language with kindness and even some delight. So if you make it over there, don't be afraid to try. Your attempts will pay off. And if you don't have a travel partner, go with a tour group. You'll make friends with whom to share experiences, have guidance and someone to lead you to the places you've always wanted to see. In researching my eighteenth-century novel, Ring of Stone-I delved into this research for a character, a young physician-I came across many interesting beliefs on how to cure sickness. Before modern medicine lay people and some physicians held the belief that transferring the ailment to another object could cure you of disease. Since antiquity, and well into the eighteenth century, people believed that men reflected aspects of the natural world. It was a dominant strategy that explained the mysteries beyond the ken of the science of the day. A man in late seventeenth century Somerset claimed that his brother was cured of a rupture by being passed through a slit cut in a young ash tree, three times on three Monday mornings before dawn. When the tree was later cut down, his brother grew ill again. To cure jaundice, you took the patient’s urine, mix it with ashes and make three equal balls. Put these before a fire, and when they dried out, the disease leaves and he’s cured. In Devon, to cure the quartan ague, you baked the patient’s urine into a cake, then fed the cake to a dog, who would take on the disease. Even Richard Wiseman—a Barber Surgeon—who wrote Chirurgicall Treatises during the time of Charles II, believed to remove warts you rub them with a slice of beef, then bury the beef. Color as well played a part in how health was viewed. "Yellow" remedies were used to cure jaundice: saffron, celandine with yellow flowers, turmeric, and lemon rind. 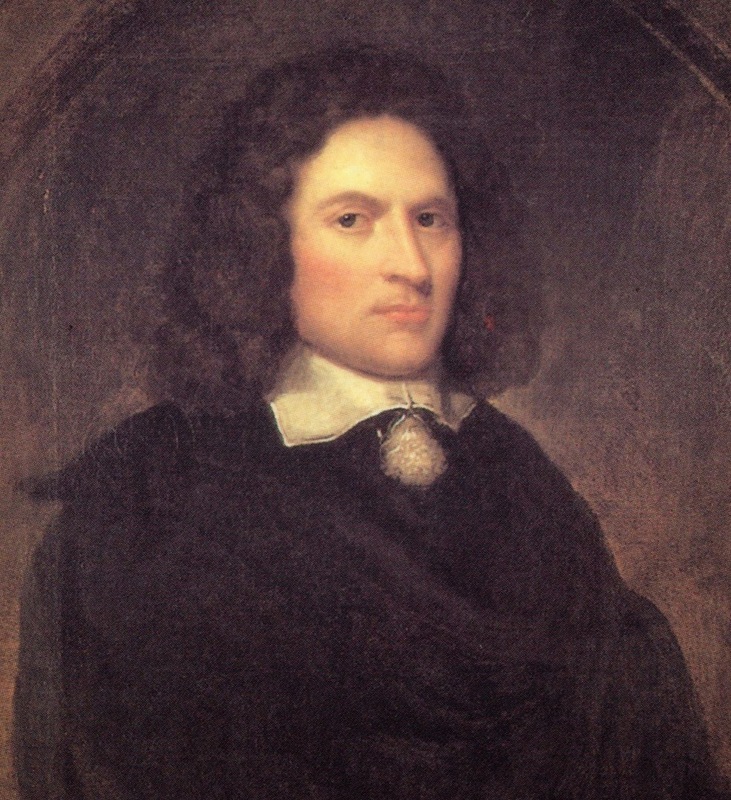 John Wesley, who wrote Primitive Physick, in the mid-eighteenth century, suggested that sufferers of this illness wear celandine leaves under their feet. 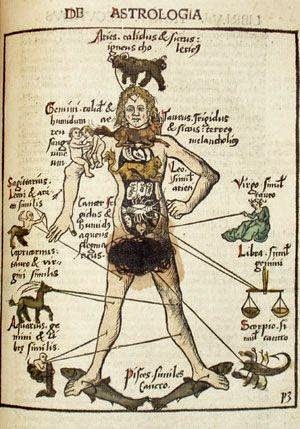 Health was also governed by astrological explanations. Manuals intended for physicians and apothecaries included this "otherwordly" advice. Nicholas Culpeper detailed which herbs were presided over by which planets in his famous health text, Culpeper’s Complete Herbal. For example, if a headache was caused by the actions of Venus, then fleabane (an herb of Mars) would cure the malady. However, the Vox Stellarum, the most popular almanac in the eighteenth century, took a more moderate view: "Men may be inclin’d but not compell’d to do good or evil by the influence of the stars." Yet this same almanac, in 1740, listed which diseases were prevalent in certain months—a vestigial form of astrological medicine. 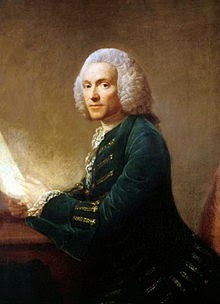 Thank goodness more enlightened physicians, such as brothers William (a leading anatomist and renown obstetrician) and John Hunter (one of the most distinguished scientists and surgeons of his day) in the eighteenth century, came along to bring medical thinking into the modern world. Though superstition among the lay people remained. Information taken from, Patients, Power, and the Poor in Eighteenth Century Bristol, by Mary E. Fissell, 1991. For more on myths and superstition, check out my novel Ring of Stone, where the myths of a stone ring in remote Cornwall may save a life while destroying another. Here's the beautiful cover by Michelle. One of the joys of writing, for me, is doing research. I know some writers hate it and others view it as a form of procrastination but I love delving into history. Apart from the facts I do want to confirm, I frequently come up with oddities that just fascinate me. Some may be questionable, other folks may have a different version of where or why a saying evolved. The following list mostly derives from English history and the terms and sayings have been transported around the world as Britain expanded her trade and borders.